Make room for one of the hottest boy groups in the K-Pop scene! 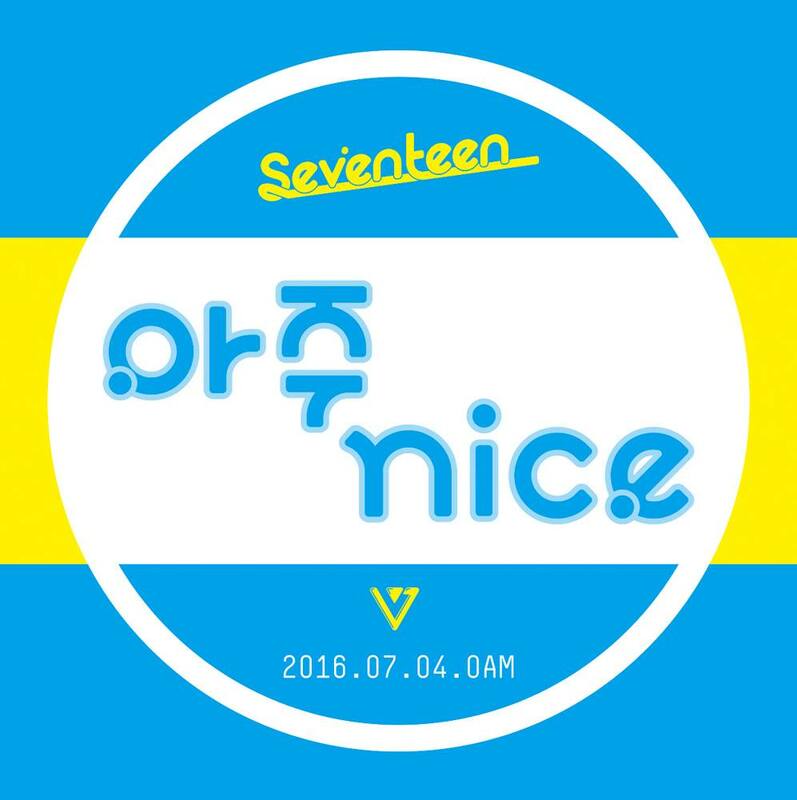 Having debuted only last year, the fresh faced boys of Seventeen are making a summer comeback with title track ‘Very Nice’. This vibrant song is part of a repackage of their first studio album ‘Love & Letter’ which peaked at the top of the charts. Hopefully ‘Very Nice’ will be just as successful! An ongoing concept that this new boy group is experimenting with is youth and the high school period, as demonstrated in hit single ‘Mansae’. The story with ‘Very Nice’ is that the boys are very excited about their first date with a girl and are overwhelmed by their feelings and aren’t sure what to do. This is cleverly portrayed in the video with the colourful confetti coming out of the boys’ chests, suggesting that their hearts were beating so fast that they ‘exploded’, all in the name of a first love. The three outfits that the boys wore throughout the music video are probably what they would wear for a first date but in different settings. One is bright and summery, perhaps for a fun day out in the sun, the second is a white shirt, black slacks and red suspenders which is more suited to a fancy dinner date and the third is a loose white shirt with jeans and black suspenders that is maybe something they would wear to impress her. All we know is that they looked as handsome as always in everything they wore! From the jazzy vibes to the impressive choreography, we couldn’t help but feel this title track is ‘Very Nice’ indeed!